When a teenager enters the workforce and starts earning money for the first time, it can be very tempting to spend that money carelessly. But it is important for a teenager to save as much money as possible for the big expenses they are going to have in the future. In most cases, these will be college expenses like tuition and books. It is best to save money as early as possible in order to have enough money available for whichever expense you are going to have down the road. The first step to saving money as a teenager is opening a bank account. Most banks will let you open a savings account when you are 16 years old. Just choose a basic savings account that is free and doesn’t charge you any monthly fees. There are some savings accounts that pay higher interest rates, like a money market account. But unless you’re going to keep a lot of money in there, you won’t make much money on the interest. Teenagers love to go on dates and spend money on their girlfriend or boyfriend. This can be a bad habit to get into because your money will drain away quickly if you date frequently. Therefore, try going on fewer dates so you don’t spend any money. If you do go out on one, go somewhere that doesn’t cost a lot of money, like a park or beach. Working a job is obviously where the money is going to be earned. Teenagers should spend all their free time working a job or two when they’re not in school. The more money that can be earned, the more money that can be saved. There is no better time to work hard than when you’re a teenager full of energy and motivation. Purchasing a car will drain a teenager’s bank account. There is no need to purchase a car as a teenager because you are in a position to either borrow your parent’s car or take public transportation. You could event get rides from family members or friends too. That way, you won’t have to worry about paying on a car loan or insurance policy. You can just save everything you earn. It might sound ridiculous for a teenager to budget, but it can truly be quite beneficial for them. A teenager should budget how much they want to save per month versus how much they want to put toward expenses. Even though teenagers don’t have many expenses in the present, it is important they don’t overspend on things they don’t need. 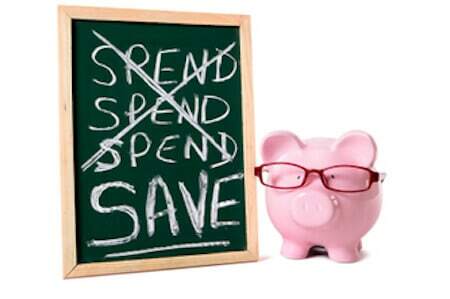 A budget will ensure they save the proper amount of money each month.